Happy Passover! If you celebrated the last two nights, I hope they were joyous ones!! We are stuffed, exhausted but had a great time! 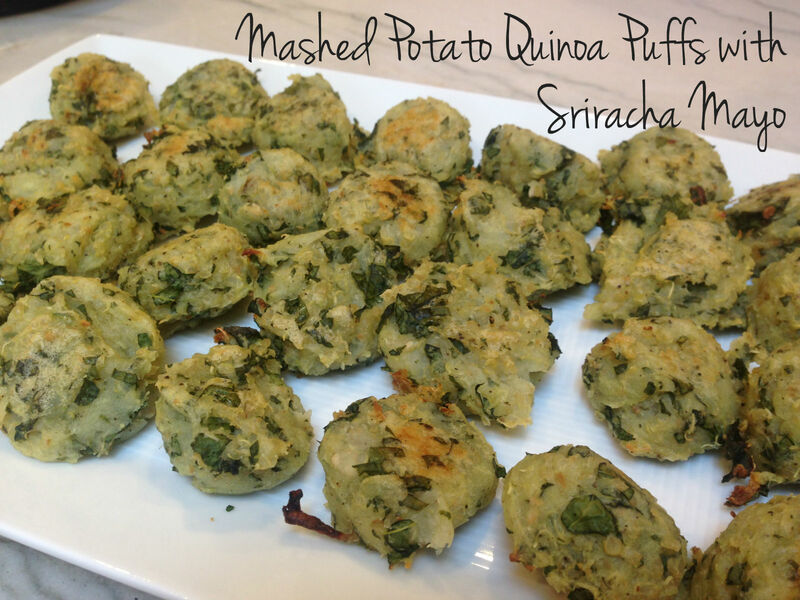 This one was a perfect appetizer for Passover or really any party 🙂 It was a hit both nights and we are super happy to have some leftover! I doubled the recipe to make sure we would have enough and will do next time since they everyone loved them! Cut the potatoes into 1 inch cubes. Steam or boil until soft. Drain. Mash the potatoes well or put it through a ricer. Once the lumps are gone, add all the ingredients and mix thoroughly. Drop into parchment lined cookie sheet. Bake for 15 minutes. Turn the puffs and bake for another 15 minutes. Kick up with some ketchup and lemon juice. Looks yummy, honey!! I still owe you a guest post!! I haven’t forgotten! !